Graceful, elegant, and simply stunning! 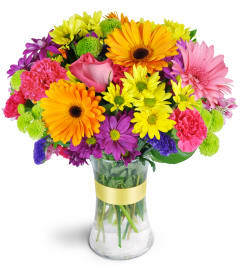 Send someone special to the height of bliss with a beautiful bouquet that’s perfect for nearly any day. 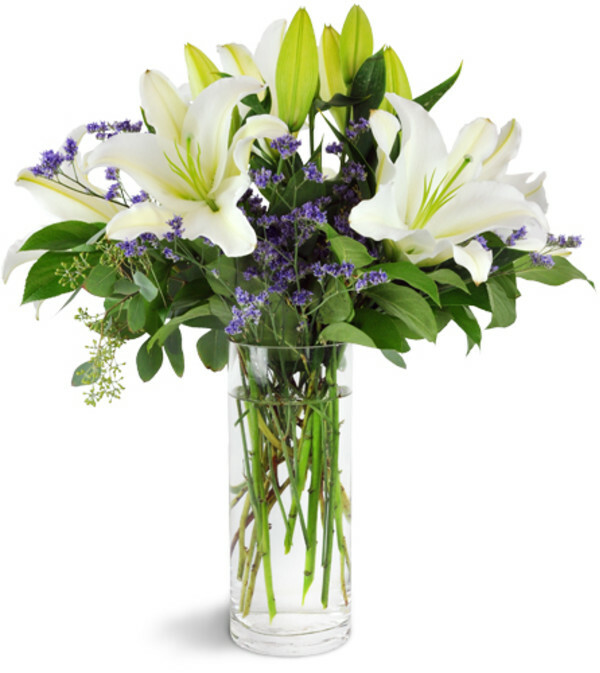 Tall stems of white lilies are accented with delicate purple caspia in an elegant clear glass vase. Easy online ordering. Delivered same day and looked beautiful in person. My grandma loved the flowers, thanks for the help in surprising her!! 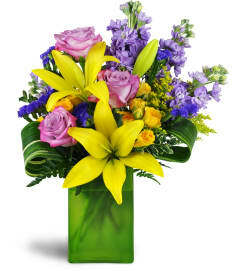 KW Flowers is a Lovingly Florist in Waterloo. Buying local matters. Discover how Lovingly supports local florists. Copyrighted images herein are used with permission by KW Flowers.